Winter is beautiful but it is so very cold. You are stuck inside most of the time during winter, especially if you have young children. This always results in cabin fever after a few days. Cabin fever is hard on everyone especially toddlers. Toddlers are always on the move and need something to keep them occupied. They tend to get bored very fast. 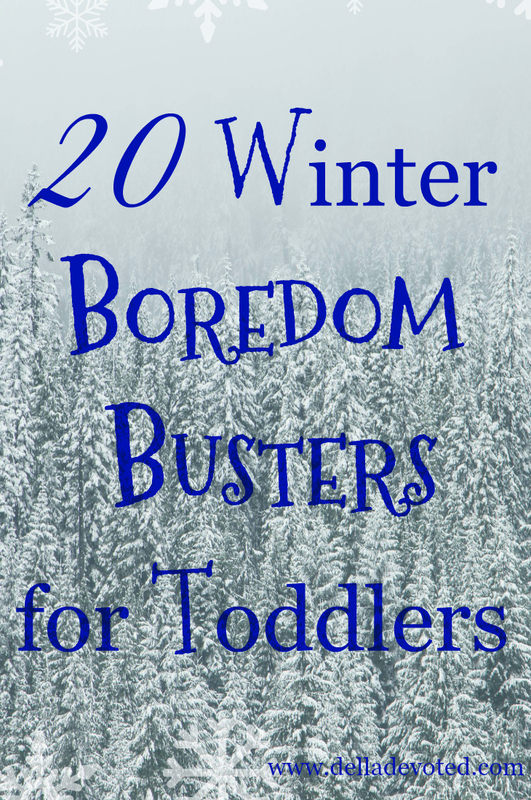 So to keep the kids and the parents happy, here are 20 Winter Boredom Busters for Toddlers. These are tried and true ideas that keep my almost 4 year old busy for hours. It keeps him happy, so this momma is happy and not nearly as stressed out. So let's get through this Winter without being bored to death with these 20 Boredom Busters. You and your toddler will be thankful for these ideas.